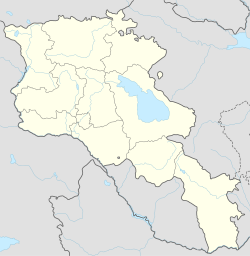 Makenis (Armenie: Մաքենիս, Romanisit as Mak’enis an Maqenis an aw) is a toun in the Gegharkunik Province o Armenie. The Makenyats Vank in the auld toun wis a major cultural an educational centre made oot o the medieval Gegharkunik, the structures o whilk datin tae the 9t tae 13t century. Brady Kiesling, Rediscovering Armenia, p. 47; oreeginal airchived at Archive.org, an current version online on Armeniapedia.org. This page wis last eeditit on 11 Mairch 2018, at 02:29.